Climbing favours strength, balance and flexibility and requires problem solving skills. It helps with self-confidence, self-esteem and encourages peer support and communication. While learning climbing basics in a magnificent environment, I have to emphasize on the quality of the climbing instructors. Everyone is all smiles, cheer the climbers and are very attentive to their needs. 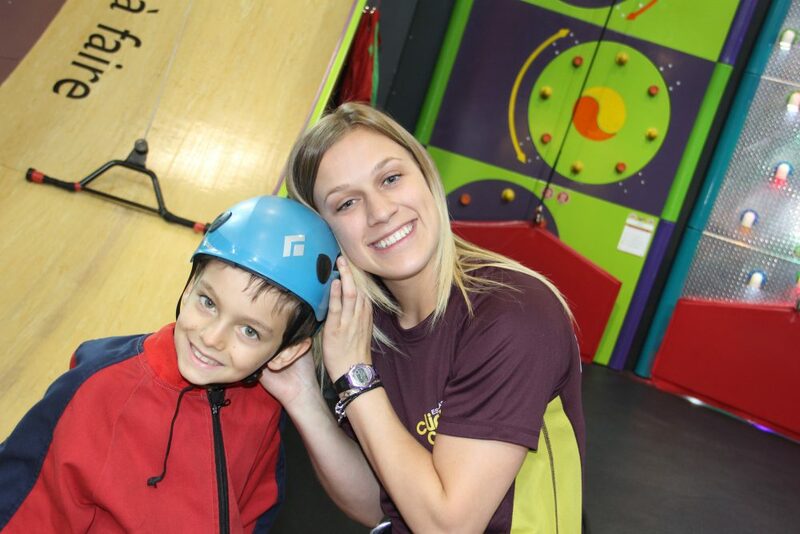 They provide a stimulating class adapted to children that love challenges! Bravo to the Singe Académie team! This class is for children 6 to 10 years old and is specifically made for them. The class includes a 75-minute supervised activity, once a week, with a semi-private instructor (6 to 8 participants max. per group) for a 12-week period. The class includes an evaluation form that allows following up on the participants improvement and is eligible for the Children’s fitness tax credit. To make the incription to Singe Academie classes , you can go directly on our reservation site at : https://bookwhen.com/fr/cliplaval . Family prices (2 kids and +) available.